HOLA!!! !, CON FUERZA ARRANCANDO ESTE SÁBADO 14 DE NOVIEMBRE, Y TAMBIÉN CON MUCHA ILUSIÓN AL PODER OFRECER A NUESTROS CLIENTES Y FUTUROS CLIENTES ESTA PRECIOSA EDICIÓN QUE NOS PONE AL ALCANCE VORWERK, CON ESTE LANZAMIENTO DE DOS LIBROS DE REPOSTERIA Y PASTELERIA VERSIÓN IMPRESA Y TAMBIÉN DIGITAL PARA HACERNOS MÁS ÁGIL NUESTRAS RECETAS, Y QUÉ DECIR DE LOS MOLDES ADAPTADOS A LAS MEDIDAS DE NUESTRO VAROMA, SIN PREOCUPARNOS…DE ….¿DÓNDE LO PONGO QUE ME QUEPA EN EL VAROMA??? 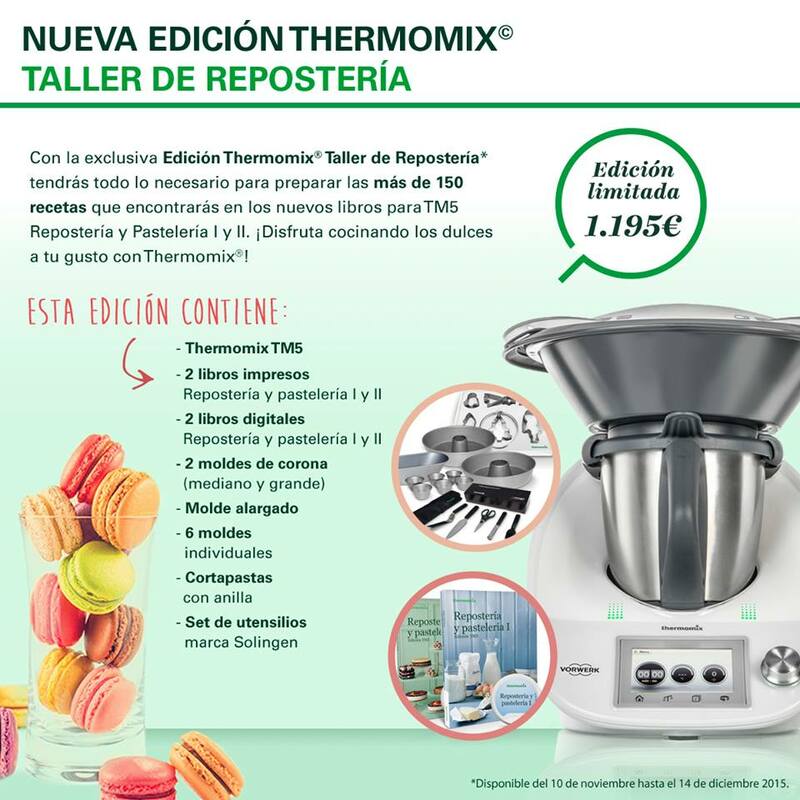 ?ES UNA BUENA OCASIÓN PARA REGALAR, O REGALARNOS ESTA CALIDAD DE VIDA QUE NOS OFRECE Thermomix® .TU TM5 TE ESPERA DEBAJO DEL ÁRBOL NAVIDEÑO, TU EDICIÓN "TALLER RESPOSTERIA Y PASTELERÍA" TE LLEGARÁ CON LOS REYES MAGOS!!!! 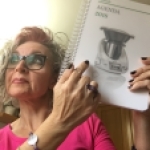 DOS REGALOS BIEN ORGANIZADOS QUE TE HARÁN SABOREAR UNA BUENA INVERSIÓN PARA TI Y TU FAMILIA EN MUY CORTO PLAZO.GRACIAS Thermomix® POR HACERNOS LA VIDA MÁS FÁCIL Y SALUDABLE!UN SALUDO!! !